Another source of percussive expression is within your grasp. ddrum's Deccabon drums are 6" in diameter drum and tuned to represent specific notes in the scale, as each varies in depth. But rather than simply providing the eight notes in a given octave, ddrum has expanded the scale by offering depths from 6" to 24", for more tonal variation and control. 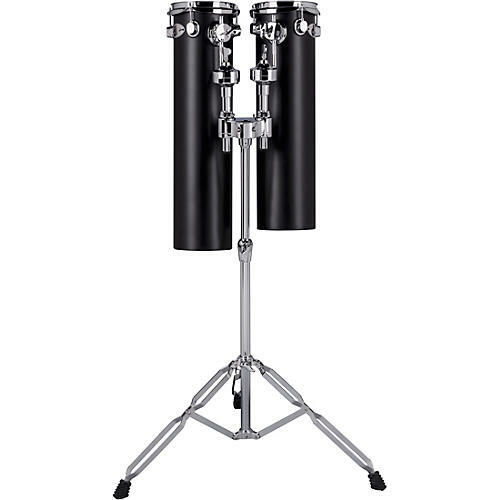 This set includes 22" and 24" black fiberglass Deccabons with a double-braced stand for additional voicings around the kit, tuned melodic passages, or just the right amount of mayhem to make a proper statement.